The house it selves and pool were nice and cosy. The furniture and kitchen equipment has not been updated for years. A lot of them were either worn out or broken cut in the porcelain or cutlery. No dish washer as described in the text. Not 8 chairs as described among the dining table. No air condition in all 3 bedrooms in the basement, which was hot and damp at nights. Aircondition in hall in basement was with timer. Limited internet. The spanish man who took care of the pool area was really nice and thorough. Nice back yard. Good respond with renter, good service with key delivery and among booking. Thank you for appreciation which is really not at the level of what we receive as a feedback. First of all, we have noted that following your stay the Table bench in wood at the corner of the dining room has been broken following your stay and nothing has been announced and we had to pay a Carpenter to solve this. The air conditioning mention is something really unfair as there are two main air conditionner in the two floors suffisant to cover the whole house and even the installation company would not have been able to Install 3 other big ones for each of the room. This a non sens ecologically but also from the perspective of a house having 5 big ait conditionner. Lat point, the remote control allows you to desactivate the timer and running in a mode where it can run on a full time if you wish. I believe the previous renter activated the timer as it gets pretty cold if you run it all time.This is the first time we got a remark on this topic. I hope nevertheless that you had a good stay and wish you all the best. "Nous avons fortement apprécié notre séjour dans la villa, elle est très bien située à mi-chemin entre MARBELLA et MALAGA, et surtout au calme, agréable pour les siestes au bord de la piscine. La mer et les ambiances nocturnes sont accessibles à 10 min en voiture. Les terrasses et le barbecue sont un grand plus fortement appréciable. Les propriétaires, très gentils, sont restés à notre écoute avant, pendant et après la location de la villa." "appartement exactement conforme aux photos et à la description de l'annonce. "Maison bien située et correspondant fidèlement à la description. Nous avons bien apprécié les grandes pièces de la maison ainsi que la piscine privée et la terrasse." Either by train, plane or car, you can access very easily the villa. 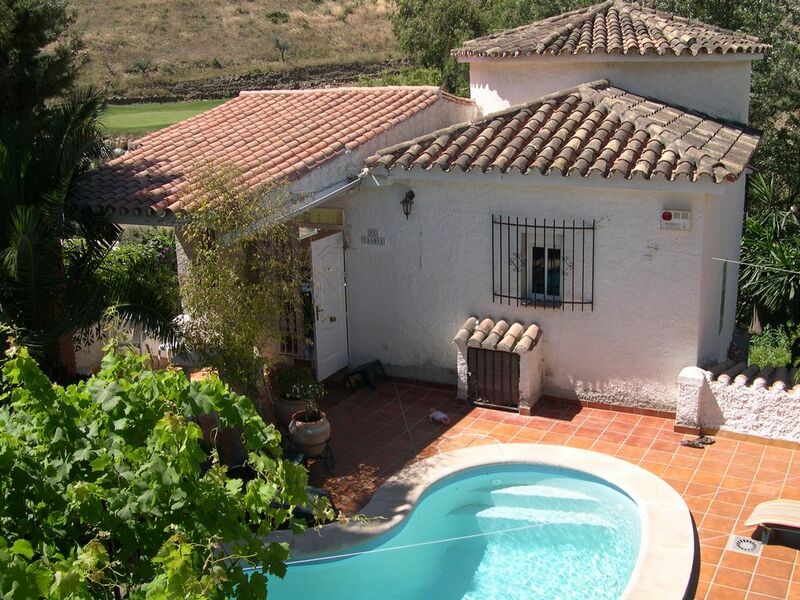 The villa is situated at approximately 10 min from the Malaga Airport, and 5 minutes from the coastal beaches. Benalmadena train station is at 5 mn. The highway is at 5 mn. The villa is situated in a turistic part of Spain, the Costa del Sol. Benalmadena is a very nice village, close to Malaga, Fuengirola, Marbell (30 mn), Granada (2 hours), Ronda (2 hours).